Originally from New York City, Dr. Knafo obtained a BS in biology from Cornell University in 2004, and a DVM degree from the Cummings School of Veterinary Medicine at Tufts University in 2008. 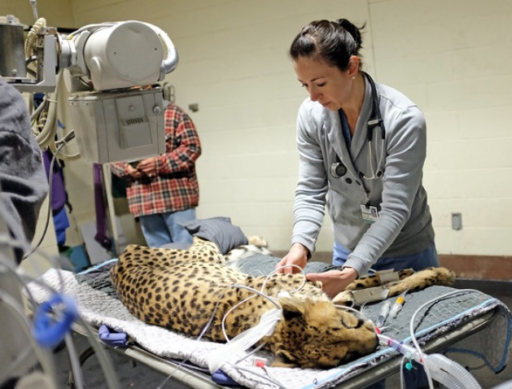 During veterinary school, Dr. Knafo participated in an international veterinary medicine program in South Africa focused on wildlife and conservation medicine. In 2006, she spent the summer conducting original research on parasitism of Grevy’s zebra populations in northern Kenya. After graduation, she completed a surgery and critical care internship at the University of Pennsylvania in 2009, and then a zoological medicine internship at the University of Georgia in 2010. In 2013, she completed a residency in zoological medicine at Cornell University. She then joined the faculty at the Cummings School of Veterinary Medicine at Tufts University in 2014 as a Clinical Assistant Professor of Zoological Medicine. While at Tufts, Dr. Knafo started the first curriculum in honeybee veterinary medicine at a US veterinary school. In 2018, Dr. Knafo joined the Exotics Department at Red Bank Veterinary Hospital in Tinton Falls, NJ. She is a Diplomate of the American College of Zoological Medicine, which includes all exotic (non-domestic) animals from invertebrates, fish, birds, reptiles, small mammals, and large mammals/megavertebrates. 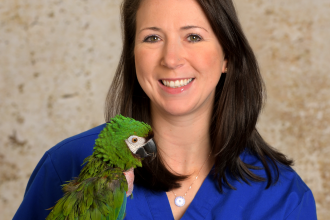 She is the only ACZM specialist in the state of NJ, and one of the first 10 ACZM specialists with the subspecialty Zoological Companion Animal (aka exotics) in the world. She has traveled internationally to work with wildlife in South Africa, zebra in Kenya, and tortoises in the Galapagos. When not practicing veterinary medicine, she is an avid equestrian, beekeeper, runner, and CrossFitter.